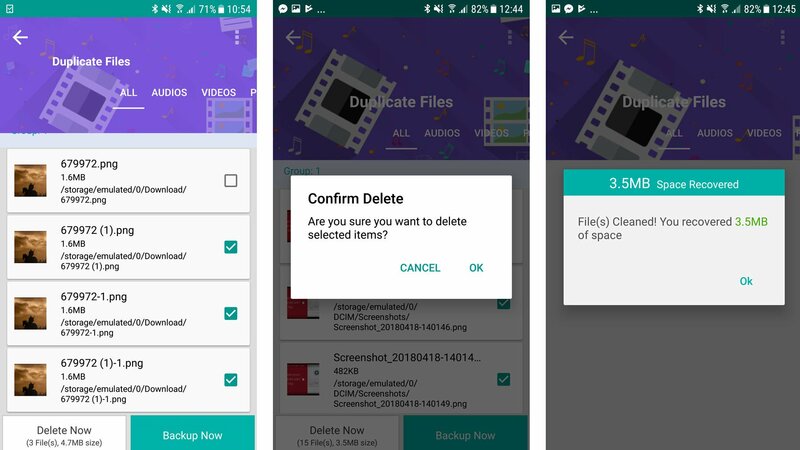 How to delete duplicate files on Android Avoid the dreaded ‘storage space low’ message on your Android device by getting rid of duplicate files. We show you fast and easy ways to clear some room. Over time Android phones can become clogged with various files you don’t need. These steal that most precious commodity – storage space – and can even affect performance. 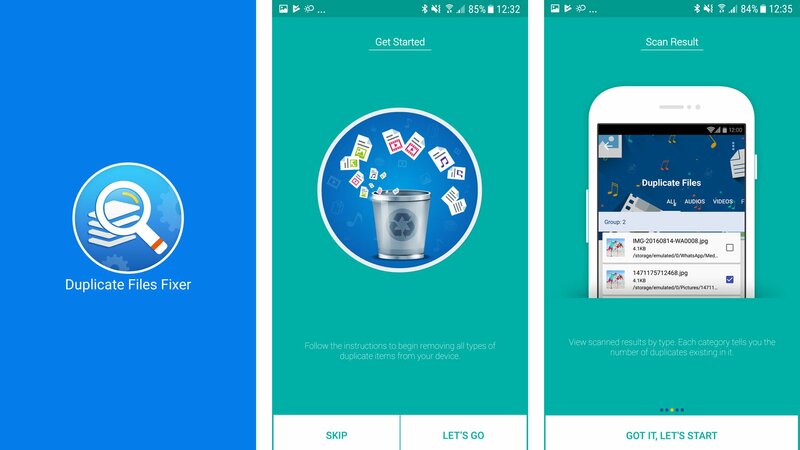 One way to reduce this clutter is by deleting any duplicate files, such as songs, photos and other things and here we’ll show you a quick way to do this on your Android smartphone or tablet. How do I deleting duplicate files manually? The most obvious way to remove doppelgangers is to go into your file manager app (usually called Files or My Files) and scroll through the list until you find them. Then you’ll usually need to tap the menu, settings, or select option (depending on what Android device you’re using) highlight the files and finally tap on the delete option. If you only have a few files on your phonr, then this is a perfectly sensible way to go about reclaiming space. For those with larger collections, we’d recommend using an app instead, which we’ll cover in the next section. 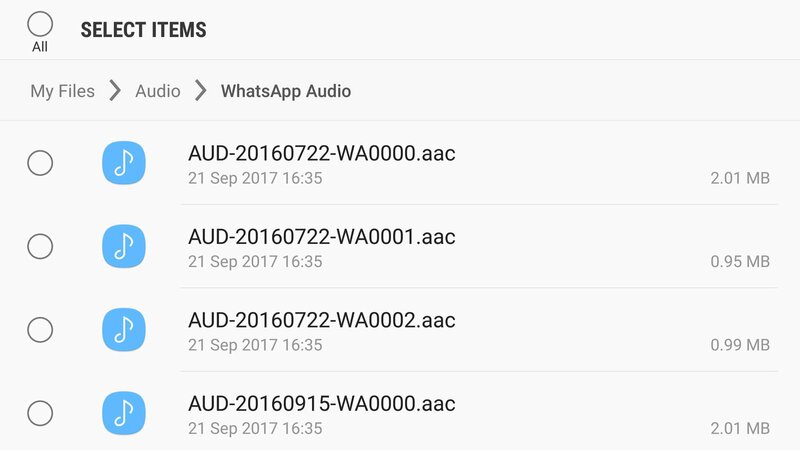 What’s the best Android app for removing duplicate files? Rather than trawling through your entire library of files, save time and effort by getting an app to do it for you instead. 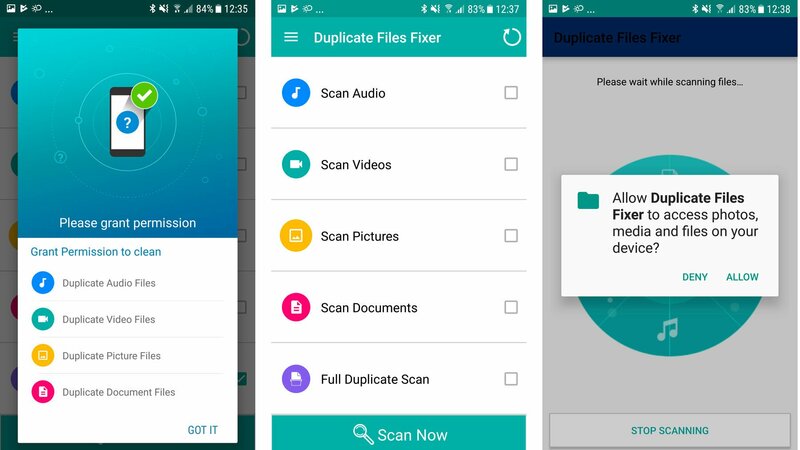 There are a few on the Google Play Store, and we’d recommend Duplicate Files Fixer, as it’s free, reliable, and has found favour with many users. Bear in mind that it’s always a good idea to back up your device before you start deleting files, so take a look at our How to back up Android guide for tips on how this is done. Download, install, and open the Duplicate Files Fixer app. There’s a quick guide on how to use the app, so have a look at that by tapping Let’s Go and swiping through the various tips. When you’re done, tap the Got It, Let’s Start option at the bottom. You’ll be asked to grant permission for the app to access your photos, media, and files, which it will need to do in order to remove duplicates. Tap Got It and you’ll be taken to the main part of the interface. Here you see the various types of files that Duplicate Files Fixer can scan. You can choose individual media – Audio, Videos, Pictures, or Documents – plus there’s the Full Duplicate Scan option at the bottom which will encompass all types. When you’ve made you choice, tap the Scan Now option at the foot of the screen. Again, you’ll be asked to grant permission to access the files, so tap Allow and let the app do its thing. Once the scan is completed you’ll be presented with a comprehensive list of your duplicates. You can either view these in their totality or swipe left to move through the individual file types. Each duplicate is listed with the original, but you’ll see that only one of them is selected. Be sure to check through them in case there have been any errors during the scan. When you’re happy with the selections you have two choices: Delete Now or Backup Now. The latter will open the Google Play Store and show you a listing for a backup app. You can look at it if you want, but for now we’ll stick with removing the files. Tap Delete Now, then confirm your decision. The app will now remove the offending articles. Once this is finished you’ll see a box telling you how much space has been saved by banishing the duplicates. If you find that you’re still struggling with low storage, even after you’ve deleted the files, Was this article helpful? If you have any questions, feel free to post a comment. Enjoy !